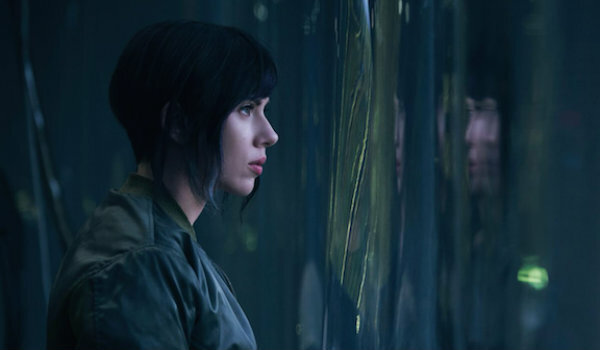 Ghost in the Shell 2017 – Can an adaptation be faithful to a fault? So, yesterday I saw Ghost in the Shell 2017. As you might notice if you go waaaaaaay back through this blog I hold the 1995 original in rather high regard, being one of the foundation works that developed my interest in the cyberpunk genre in my teens. On the one hand I knew off the bat the remake couldn’t hold up; not simply out of arrogance but because the impact for me personally will never be the same. On the flipside, I didn’t want to dismiss a remake simply for daring to exist and figured I’d at least give it a shot to form some kind of opinion and see what the US take on the franchise would look like. The shocking verdict?… It’s okay. No drama, no outrage. Just alright. Not a patch on the original, but not a bad film in its own right. And yet, in a weird way this is even more frustrating to me than a laughable train wreck. Hollywood has begun taking its adaptations quite seriously, being respectful and diligent with its source material. Is this really a good thing though? It’s largely the same feeling I got from the Watchmen film; slick, accomplished and weirdly empty. For all the accuracy in its recreation I could never get that precise thought out of my mind, that rather than being immersed in a story I was watching some bizarre reconstruction for assessment. 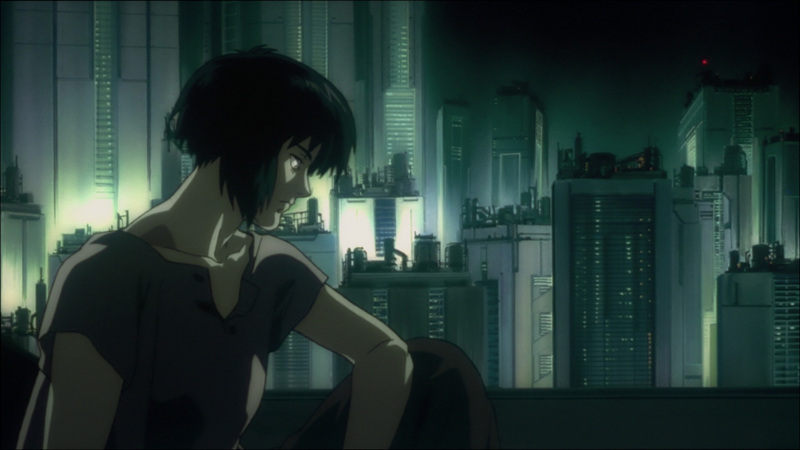 Aesthetically GitS 2017 was just what I wanted, but ironically perhaps it was the scenes which attempted to emulate the original film exactly that felt most flat and empty. For all the evident technical prowess and care in recreation on show the end result for me felt lifeless. Lacking in passion and simply ticking off boxes rather than causing me to feel exhilaration or intrigue. When the film did its own thing in a way that was more inspired by, rather than a direct copy of the other films/series I found myself far more engaged. It’s also worth remembering that the superb 1995 film only borrowed characters, tech ideas and a handful of plot points from the manga. I imagine many would furiously disagree with me, but the Shirow Masamune original – while innovative and well drawn – lacks the cohesion, focus and atmosphere present in Mamoru Oshii’s film, to say nothing of the sleazy content present in the manga which always felt unwelcome to me. All this made me think that perhaps the whole concept of directly remaking a film is broken, inevitably doomed through unfavorable comparison and a lack of surprises. Perhaps the only way to truly adapt something is ironically to tear up the rule book and follow your own path. It may be a more risky approach but at least there is risk in the story as a result, a sense of the unknown, genuine peril and feeling of actually discovering something. On the bright side, at least this has spurred me into checking out the more recent installment on the anime front; Ghost in the Shell: Arise. Will it be any good? At the very least I imagine it will be different and that really may be for the better it seems.